Enjoy classic seating with simple elegance. This sofa anchors a comfortable spot for guests to sit and unwind. 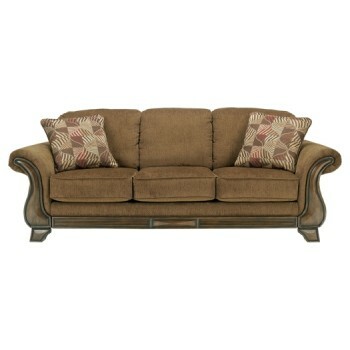 Its style percolates with attractive upholstery, durability and eye-catching inset faux wood curving up the armrests.